As our days become more and more demanding, negative thinking habits are easily developed. A tiny negative thought can and will transform into a monster of darkness detouring you from a bright future. The good news is that a positive thought can and will transform into a vast garden of positive thoughts! 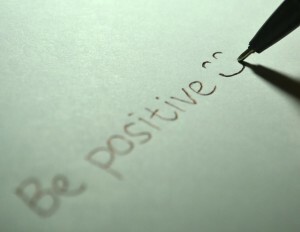 With a little practice, one can combat negative thoughts and positivity can thrive. Your journey towards positive thinking begins with noticing the use of trigger words. A trigger word sets a pathway for negative thinking and despair. Once used, these words create absolutes for negative outcomes, and therefore allows limited hope for a positive outcome. So let begin on a brighter and more positive thought process. Catching and replacing negative thoughts takes practice. With perseverance, you will quickly begin to notice a more positive and bright future! May all your days be filled with positivity! When life becomes stressful many individuals, both young and old, resort to negative thinking. Using statements that start with, “What If or Never” can be a sign that your mind is becoming stuck in a negative pattern. This negative thinking pattern or thought distortions can lead to disruption in your daily life, anxiety and difficulty coping with life’s stressors. When you notice negative statements creeping into your daily thoughts, there are a few things that you can do to help change your mindset to a more positive outlook. Take a moment to rephrase your thinking through examining the facts. What evidence is there that supports the perceived catastrophic outcome? What evidence is there against your negative thought process? May times writing out a “For or Against “ list will help you gain a greater insight into your situation and dispel negative thoughts. Focus on your strengths and positives! This can be done through making a list of all your positives, strengths, and utilize positive self-talk. Reminding yourself that you are special and in control can help elevate anxiety and negative thoughts surrounding a situation. Talking with a trusted friend is a good ways to combat the negative thoughts that can creep into our minds and allow us to feel support. Seek out support from other. Although there is no quick fix to combating negative thinking patterns, these few steps will help put you on the right path to a more positive thought process. What if it was possible to bring a calm feeling to your life simply by learning to breathe? Correct Relaxation Breathing is one of the best ways to lower stress in the body. This is because when you breathe deeply it sends a message to your brain to calm down and relax. Many people forget to breathe when they become upset and as a result their blood pressure can elevate, your pulse rate can quicken and your anxiety can rise. Relaxation Breathing can bring peace to your day in the mist of all your daily trials. It is simple to complete and requires no tools. There is no age requirement, no monthly dues and no enrollment plan. It is free and readily available 24-7. Whether you are at your desk at work, sitting in your car, or waiting in a long line, relaxation breathing can be practiced. The following breathing technique makes your breathing become deeper and more regulated. With practice, you can take in more and more air and your mind will become quieter and quieter. Once you learn this breathing technique and are practicing the technique every day, it will be a very useful relaxation skill that you will always have with you. Use it whenever anything upsetting or anxiety provoking happens – before you react. Use it whenever you are aware of internal stress. Use it to help you fall asleep. Use it to help you relax. No matter what USE IT and you will benefit. Summer is thought of as a time for fun in the sun and relaxing but without structure and consistency summer can be a very trying time for any family. It is important to take into account that children thrive with a schedule and consistency and the spontaneity of summer can overwhelm even the most grounded child. 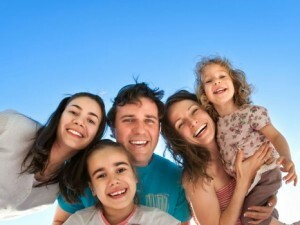 There are several very simple ways to help promote a wonderful family summer. At the beginning of each week, the family should gather for a family meeting (see blog on ways to conduct a family meeting) and review the plans for the week. Knowing the activities planned in advance calms anxiety and gives a time for input and feelings regarding the schedule for the week. Write the weekly activities on a calendar that is available for everyone to view in the family. Each family member can help to write up the schedule providing a sense of ownership and participation in the family activities. Young children can draw pictures on the calendar or trace words to ensure they are included as well. Activities for the week can be as simple as displaying the hours of parents’ work schedule and the child’s day camp programs, designating a daily learning time (such as reading for 15 minutes or coloring) and knowing when dinner will be, what is planned for meals and when bedtimes are to as complex as family outings and when vacations are planned. 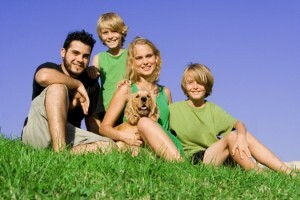 Meet each day with the family and conduct a family meeting. This is the time to review what is planned for the next day as well as discussing how the current day was for everyone (again see blog on family meeting for more detailed outlines on family meeting). By organizing each day and sharing the schedule with all family members, it provides the opportunity for family’s to come to together and discuss plans, anxieties are reduced due to less “unknown events “, and a family can build a stronger bond through active communication throughout the summer. May your summer be filled with fun, sun and structure!! What do you wish you could have changed about your day? So pick a time and get together with your children and share your day, whether that time be getting together before bed or around the dinner table. Whatever the time and location you pick; share, love and communicate!